Designers and makers of furniture and high end residential/commercial interiors. 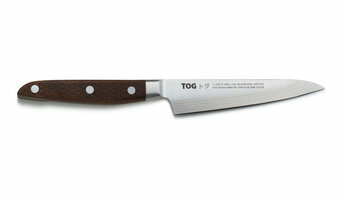 TOG Knives are a new range of high-end, batch-produced, artisan kitchen knives. The blades are forged in Seki, the Samurai sword capital of Japan and uniquely have ten layers of antimicrobial copper. The handles are made of a super-durable eco-wood called Kebony and are laser etched. Looking for a unique piece of furniture? Wings Furniture and Interiors was started by Ben Butterell in 2013. The passion behind the business is for repurposing furniture. Whether it be turning old parquet flooring into beautiful, stylish coffee tables or re-claimed scaffold boards into funky dining room tables and benches –we just love to breathe a new lease of life into unused items! Ben is a classically trained furniture maker with a love of architecture and furniture – particularly from the mid century. Ben’s personal love is wood, but here at Wings we have a talented team of craftsmen who specialise in wood, metal work, upholstery and spray painting - enabling us to make pretty much anything in any size! We will happily come and see you and discuss your requirements. We can (and have) done full fit outs in a very short space of time – so just call us and we will see what we can do! Hand-crafted bespoke willow pieces, designed and built to fit your specific space. Work is both hung or free-standing, to be used both indoors and outdoors. Variations in size from small pods for pets to large scale installations for groups of people. CoucouManou is devoted to the creation of distinctive, beautiful and lasting furniture. Each piece is created from high quality materials, crafted using solid, trusted construction methods, and entirely finished by hand in the UK. Lux & Bloom is a new design house which creates extraordinary British luxury fabrics and home accessories inspired by the Oriental but with a very contemporary twist. The art of drawing is at the heart of our label and a determination to offer a unique design style to inject more glamour and personality into interiors. All our fabrics are printed at the prestigious Glasgow School of Art and we take pride in ensuring that all our products are designed and expertly handmade locally to champion a distinctive British character. We have been renovating and converting barns, chapels, churches and industrial buildings for over a quarter of a century, and now extend our services to supply our distinctive floorboards to the public for residential conversions and businesses, including premises such as bars, restaurants, shops, office spaces and public buildings. 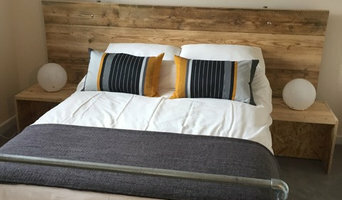 We began to produce our rustic, antiqued boards - a uniform 9 inches wide & 1¼ inches thick - as a unique alternative to significantly more expensive Victorian pine boards, where neither supply nor finish were ever consistent. Our boards are 100% recycled and renewable timber, distressed and worn by years of use in the construction industry. The level of superficial wear over only a few years in this environment simulates very closely the type of wear a conventional timber floor - used only for general footfall - would take 100 years to receive: providing authentic, vintage, quality boards to the customer for a fraction of the cost – and without the issues of uniformity – of the majority of their antique counterparts. The process for finishing each and every board includes The Original Floorboard Company’s time-tested recipes for cleaning, treating, waxing and polishing: using only 100% organic products to ensure that we consistently produce and provide natural, environmentally friendly flooring, from up-cycled boards deserving of a new lease of life. Why choose The Original Floorboard Co.? For the discerning customer, we provide unique, vintage solid pine floorboards - uniform in shape and size, and beautifully finished - for a fraction of the cost of their antique equivalents. The recipes with which we finish our boards are 100% natural and organic: up-cycling to stunning effect, without damaging the environment or the timber. We take the hassle out of floorboard shopping. Our website allows you to order the exact quantity you want - in the finish of your choice - effortlessly, in just a few clicks: no need for consultations, quotes or drawn-out correspondence. Samples are available for those who wish to see for themselves before they buy. Our website offers detailed - easy to digest - advice on measuring and preparing your room(s) for floorboarding, so that you're ready when your boards arrive. Our experience in construction and renovation is second to none, and our knowledge, passion and respect for the materials we use shows in every board we produce. French Rococo Furniture is one of the best online retailers for high quality French bedroom furniture, French furniture and French reproduction antique furniture providing quality and unique products at such reasonable prices. We guarantee the quality of our products and that we are the most competitively priced around. We also pride ourselves in being one of the only people able to customize the furniture free of charge for bespoke orders. We always have a large amount of stock ready to deliver . All furniture is carefully hand made using the finest solid mahogany wood. At Adam Williams Design, we take pride in producing quality bespoke furniture to our client’s specifications. Based in Somerset, we have our own team of experienced local craftsmen including forges, fabricators, cabinet makers and stone masons. We also have a small, in-house team of gilders to offer furniture pieces in a wide variety of finishes. All of our products are made to order and can be fully customised with your choice of frame finish, stone, marble, glass or wood. To receive a complimentary quote, get in touch with us today to discuss your requirements. We look forward to hearing from you. Trendy Products was born in 2007 when company owner Karen Bucceri, who had lived in Italy for over 10 years, though originally from South Wales, had established some great links with many leading modern Italian and European furniture manufacturers. She decided that there was an opportunity to bring a fantastic selection of modern and contemporary furniture suitable for every room in the home to online customers in the UK. Karen’s passion for stylish, contemporary, modern furniture and her drive to develop a brand new online customer experience soon started to gather pace in the UK. Offering many products made to order and delivered straight to the customer’s door Trendy Products quickly became a national supplier of some of the finest furniture manufacturers from Italy, Spain, Germany, Portugal and UK. After celebrating 10 years online, and now currently working with over 50 brands and manufacturers from Europe and the UK. Trendy Products are now developing the business further by now opening the first in a new concept of digital showrooms in Cardiff, where customers can interact on a personal level with our sales team and navigate and shop online within the store. Catalogues and samples are available along with an added benefit of meeting our interior designer and sales team who can give expert advice and help in choosing the right furniture and products for your home. KAREN BUCCERI - OWNER TRENDY PRODUCTS It’s a great milestone for Trendy Products with the opening of the new digital showroom concept in Cardiff Bay, and we are not stopping there! We are also in the progress of continuing to improve the customer experience with more investments in improving the look and feel to our international website platforms. I’m proud to say that at the heart of our business is an international team of great furniture buyers, marketing experts, quality copywriters, orders administrators, passionate customer relation advisors and a qualified interior designer all supporting our mission of helping customers make the right choices. It’s so important as we know furniture makes a home. Jon Newton is a specialist designer and maker of bespoke contemporary furniture and luxury interiors. The business produces both freestanding and fitted furniture of the finest quality and individually handcrafts every single piece from start to finish in their UK workshop. Rag & Bone is an Antique business established in 2012, owned and run by Arthur & Mollie. Impassioned collectors, we travel around sourcing from all over Europe in the pursuit of the rare and beautiful: Mid Century Design, Interesting curiosities, Industrial, Art - All culminate into a modern aesthetic and sold from our shop in the heart of Bristol Old City and online. HUSK offers an affordable way to add custom elements to your kitchen. 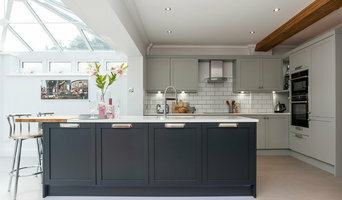 Our fronts and countertops are designed to work with IKEA cabinets but can also be adapted if you are planning a kitchen with an alternative cabinet supplier. We’ve chosen our material options with durability in mind. No need for maintenance and hardy enough to withstand busy family lifestyles. We work on both private and residential projects and delivery to any part of the UK. Why should I use a Bristol furniture designer or home accessories professional? Think about what pieces you need or what your vision for the overall look of the room is. Do you have very specific ideas for what furniture you’d like or do you just know the colour palette or the basic type of furnishings and accessories you want? 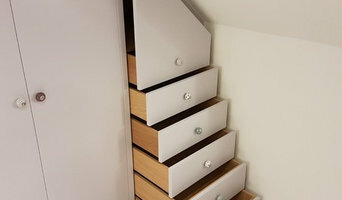 If you have very specific ideas it could be an option to look at Bristol bespoke furniture designers and makers. They will work with you to produce one-of-a-kind pieces to make your ideas come to life. Otherwise, it’s a fantastic idea to hire a Bristol home furnisher to help you choose furniture and accessories to work with your interiors. Professionals with years of experience will have a great eye for picking out the right pieces based on your brief and your room design, saving you the time and stress of hunting down the pieces yourself. However, when not constrained by time, some homeowners can really enjoy the furniture hunting process. Tracking down unique or vintage home furnishings from furniture manufacturers, retailers, car boot sales, showrooms, auctions and home furnishing stores in Bristol can be a real thrill, especially when you find exactly what you were looking for or perhaps something completely unexpected but brilliant nonetheless! If your budget can’t stretch to bespoke, designer or professional-picked pieces, this is also the best and most convenient option. Try browsing through the collections from a furniture manufacturer to see if they have any styles you like, or scour secondhand furniture shops and auction houses if you’re after something with a history. It’s not all about the furniture, though. Your home accessories can provide the finishing touches to any room in the house. Table lamps, plants, cushions, rugs, candles, ornaments, artwork and picture frames are just a few of the accessories you can use to round off the style of your room and add personal touches. It’s easy to find ideas for these smaller furnishings with plenty of Bristol home furnishing stores and their products listed, as well as the furniture designers, manufacturers and makers. 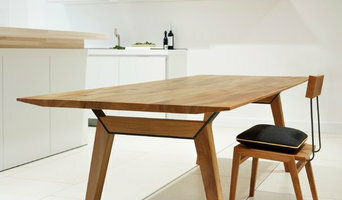 Find Bristol furniture designers and accessories manufacturers, showrooms and suppliers on Houzz. Narrow your search in the Professionals section of the website to Bristol furniture and accessories, then choose the nearest area for showrooms and retailers. Or you may want to look through Bristol photos to find furniture designs you like and contact the furniture manufacturers and showrooms directly.